In Santa Monica, CA, having dirty dryer vents is a big no-no. This is mainly because it can pose serious fire and health hazards to your home and to the people living in your house. When there is build-up on the vent, the air flow at home is reduced, causing it to overheat and become a cause of fire. Unfortunately, not many home owners are aware of this. They are hardly aware that cleaning a dryer vent is one of the most important maintenance jobs in any home because if this isn’t done regularly, then your home is at risk of experiencing vent related fires. These fires are very common and they happen when there is a blockage of airflow in the vent because of the lint building up on the lining of the dryer vent. The blockage will cause excessive heat build-up and since lint is stuck in the vent, a small spark can lead to a fast and uncontrollable fire. To prevent this from happening, it is best to call for air vent cleaning service. Other than fire prevention there are many other reasons why you should get your dryer duct cleaned. One reason is when the lint starts building up in the lining of the duct it will take a longer time to dry your clothes, making it less efficient than before. Another reason is that when the lint clogs up the dryer hose might burn out and you will spend more because you will have to replace the whole equipment. There are a few signs that will tell you that you need to get your dryer duct clean like, if you start noticing that it takes a longer time to dry a load, if you start noticing the smell of molds on your clothes, if you start noticing that your clothes have extra lint than usual, and if you start noticing that your house is getting extra dusty in just a few days. Once you see more than one of these signs, then you need to act fast and call for a dryer duct cleaning company in Santa Monica, CA, before you have negative effects on your health or face unexpected situations like a fire. 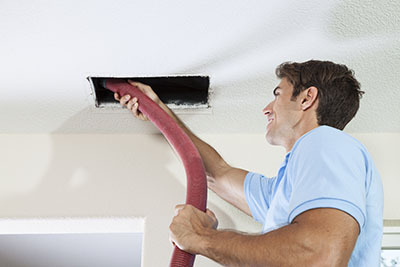 You can always call our duct cleaning company in Santa Monica, CA, to help you out with your dryer vent cleaning. Most companies offer different kinds of dryer vent air system cleaning services, which is why it is important to know what kind of service you need. You may think that you only need a cleaning service, but sometimes your dryer vents may need replacing or repair. It is always best to call on a professional dryer duct cleaning company to help you out with your dryer vent. This way the company will be able to detect any other problems that your dryer vent might have while they are cleaning it.